Picture this...... I am out shopping with my bestie, hubby calls and asks if we will have soup for dinner. Naturally, I agree, since after a tiring, albeit eventful evening, a steaming hot bowl of soup is enough to make the tiredness disappear! So, we reach home to the aroma of chicken and veggies being slowly simmered in chicken stock! Ahhh, bless you my dear hubby! Needless to say, we totally ravished it! This soup is amazingly simple to make. 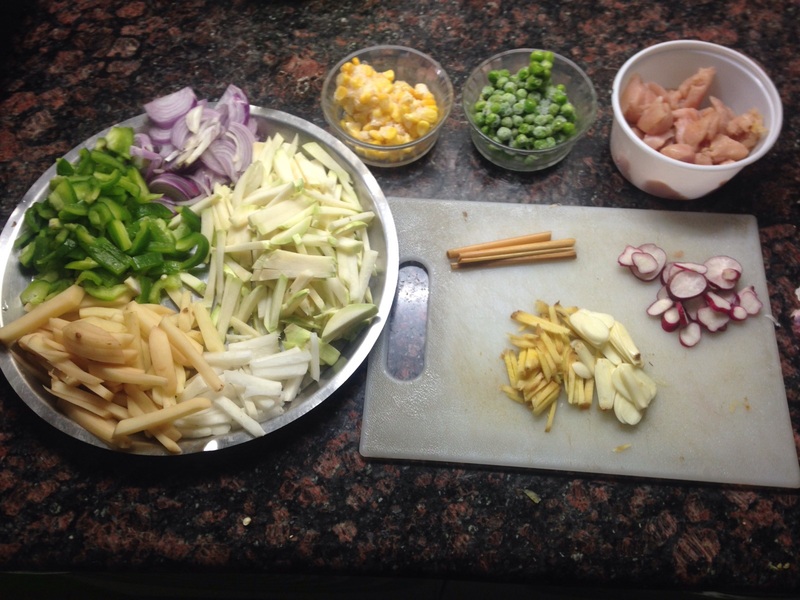 The chopping of the veggies is the only bit of time consuming activity for this dish. But you can prep in advance to save time later. 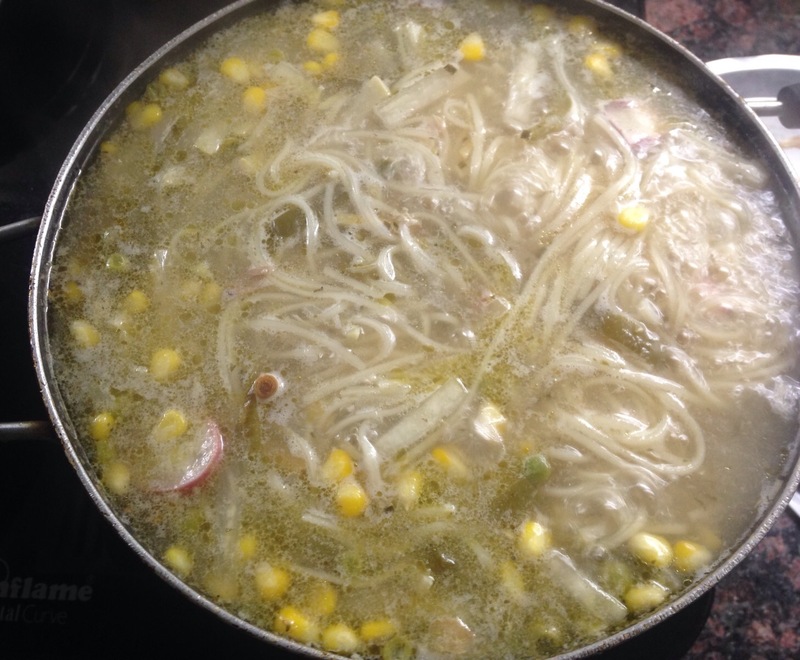 You can also prepare a vegetarian version of this soup without chicken. Handful of green peas & sweet corn kernels. Heat the oil in a saucepan & bring up to heat. Add in the onions & sauté till the onions get a little colour. Add in the chicken stock & water - bring to a boil. Let the veggies cook until almost done. Add in salt & pepper to taste. Simmer for 5-7 mins more, until the noodles & veggies are cooked. Add in the garnish & cover for 2-3 mins.